We’re going to Charlotte to see our friend Rory do some comedy, which will be super duper fun and fabulous and awesome. But, if you’re going to a party with people who you want to impress, why not make these super duper tasty wonderful meatballs? 4-6 cups marinara sauce – click here to see how I make mine! 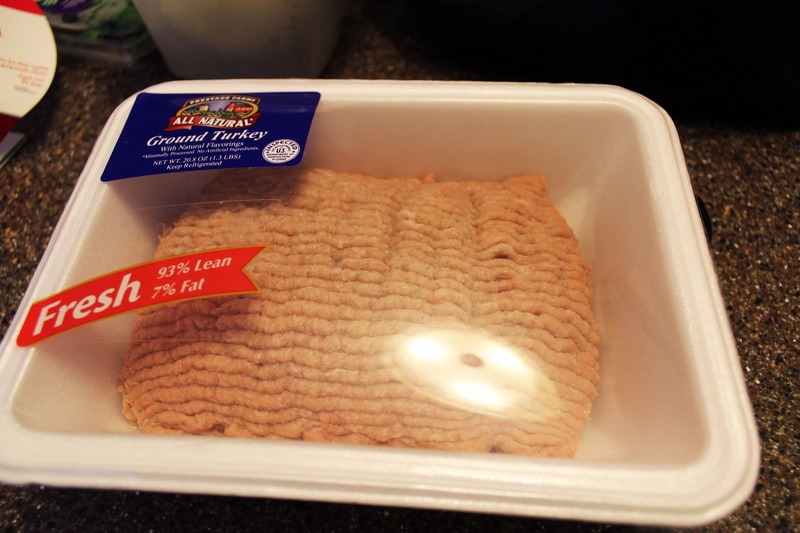 I use white meat turkey when I can find it – it’s much healthier! Bacon and blue cheese are lovely together, aren’t they? 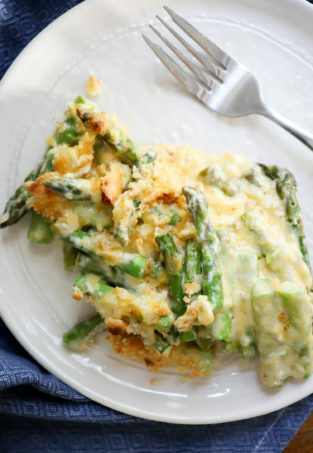 The mild flavor of the turkey really helps accentuate those two flavors – it’s just lovely. 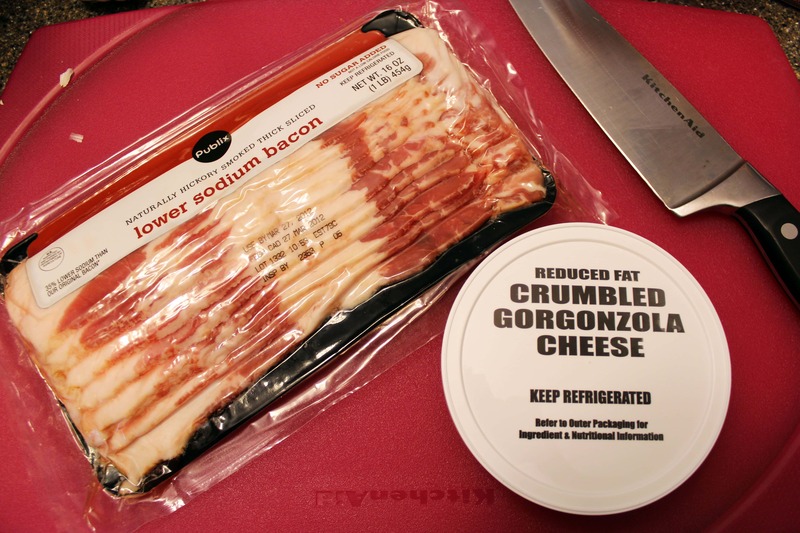 For the bacon, cut the slices into long strips, then cut across the strips to make little bits of bacon. 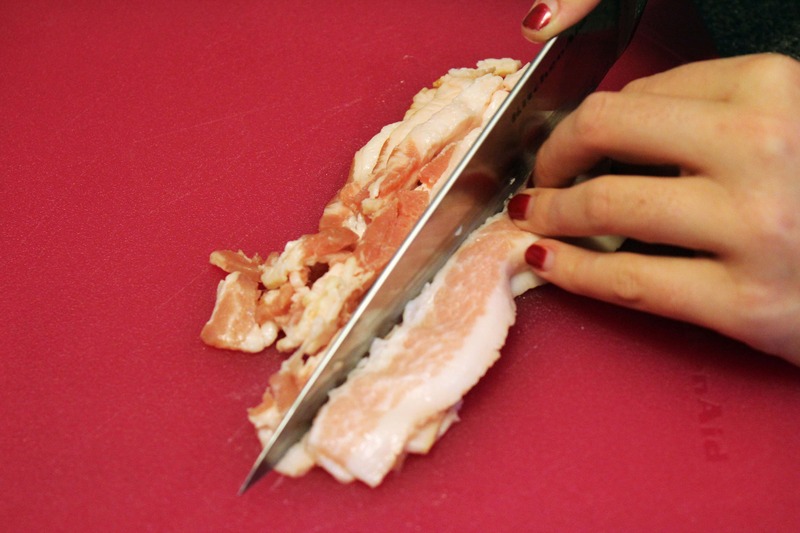 Then, if the pieces are still rather large, run your knife over and over the bacon until it’s very fine – we want it to be pretty close to the consistency of the ground meat. 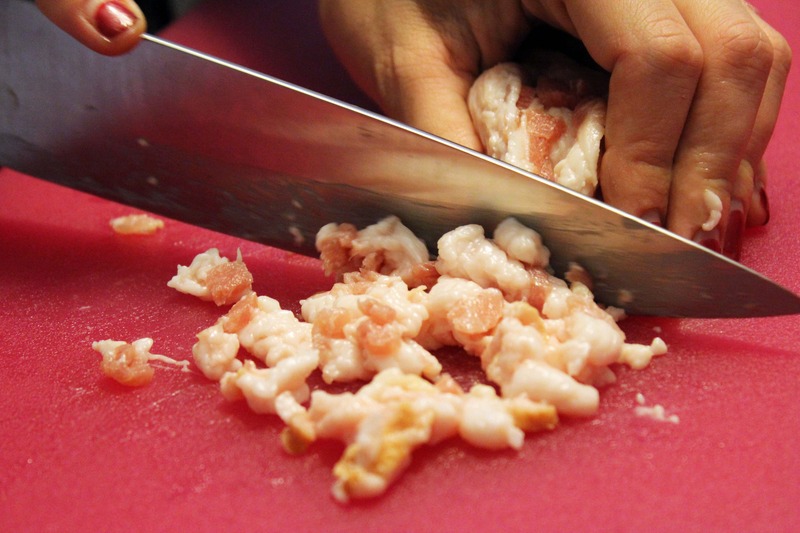 I know this looks kind of grody, but it’s well worth it to take the time to chop it up really finely! You’ll love it, trust me. Once you’ve dealt with the bacon, place it in a bowl with the turkey. 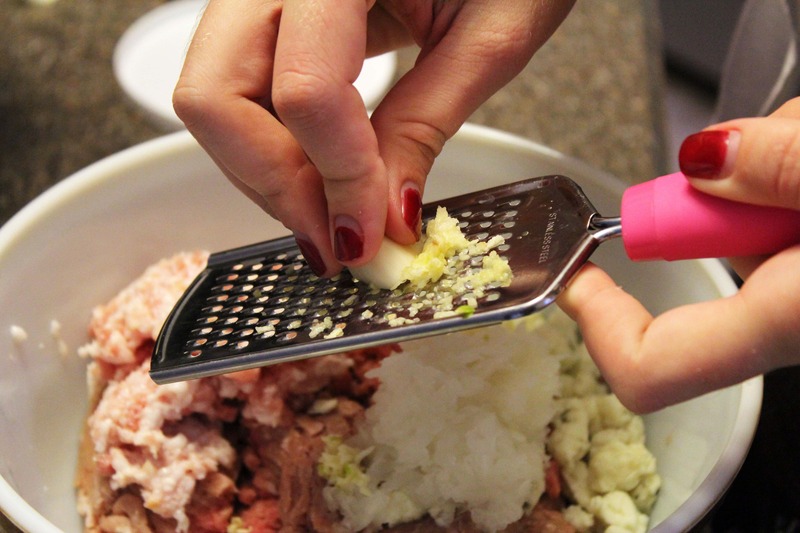 Then grate the onion and garlic directly over the bowl so you catch all the juice and make the meat flavorful and perfect and delicious – the best way for meat to be. 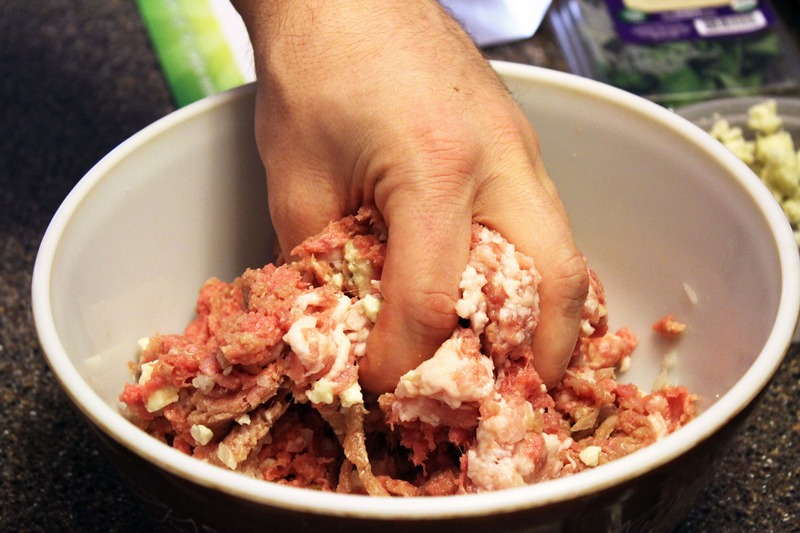 Then, dump in the blue cheese and admire what lovely, gross-looking raw flavors you have going on. Pretty gross. 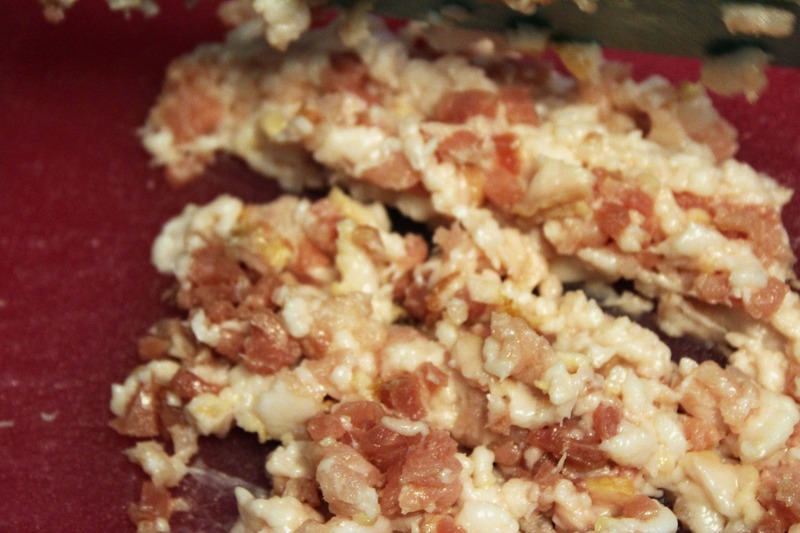 Drop in the egg and breadcrumbs next, with a sprinkle of salt and pepper. Glorious. 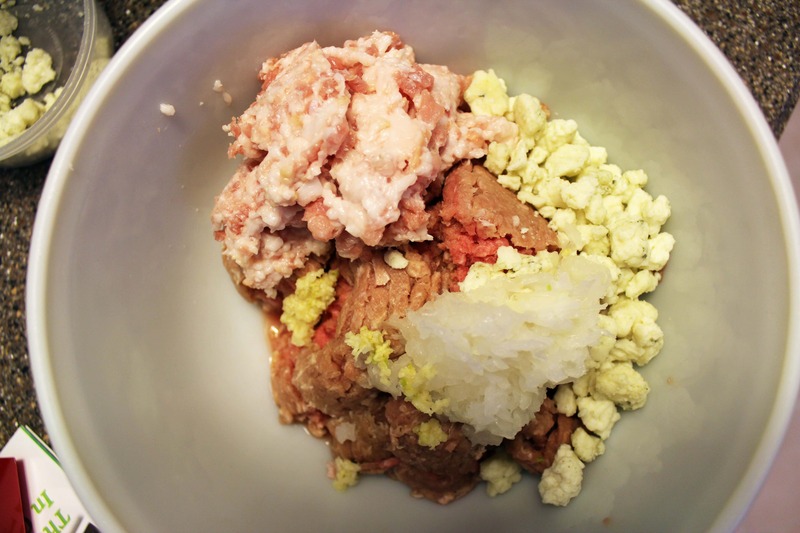 Now, use your hand to mix this all together – I started mixing and realized I’d forgotten the egg and breadcrumb, which was a cluster, but you can only mix once if you’re more organized than me! 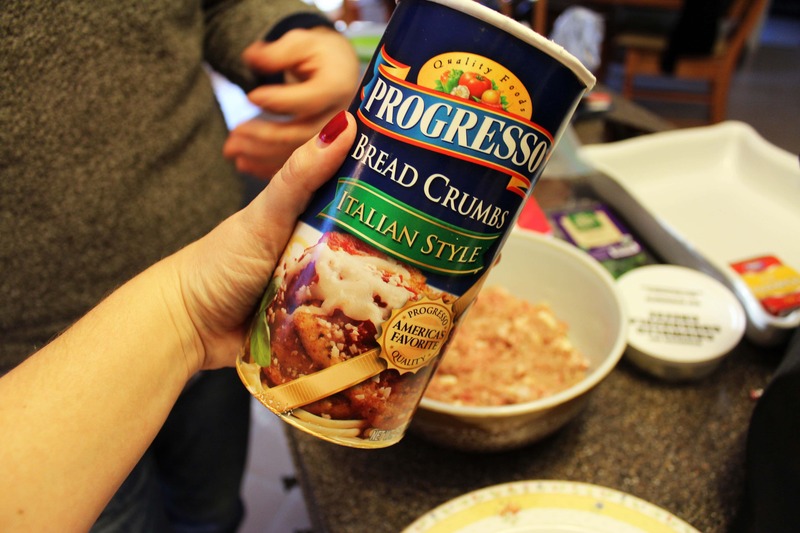 The mixture should be firm and not too sticky – add more breadcrumbs if the meat feels wet. 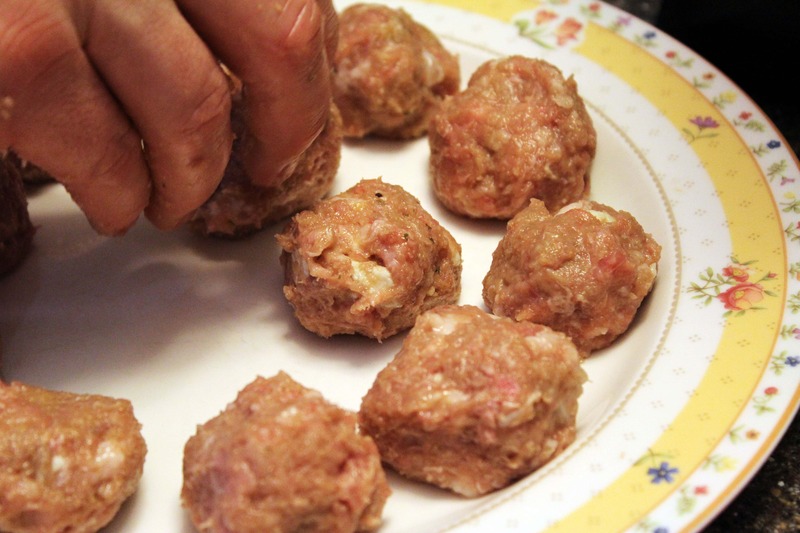 Once the meat mixture is well combined, form small meatballs, about 1 1/2 inch wide, and set them on a plate. 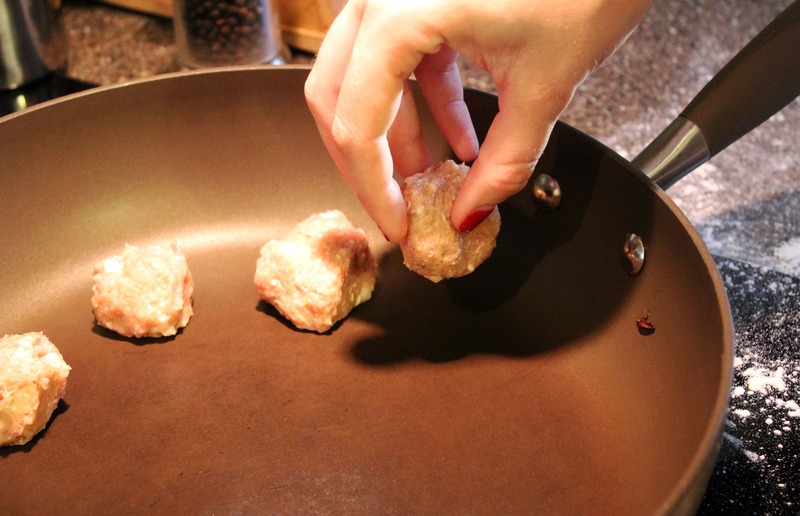 You’ll also want to heat a pan to medium-high heat to brown the meatballs once they’re all formed. 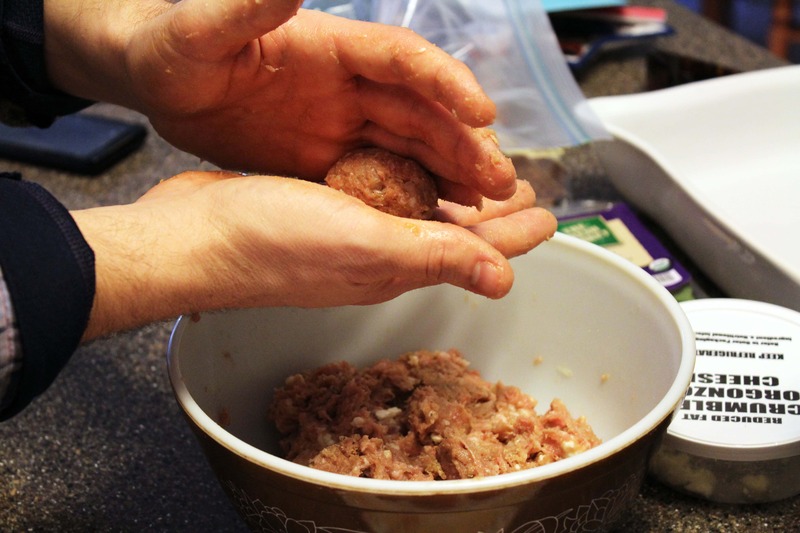 Once all the meatballs are formed WASH YOUR HANDS BECAUSE THEY ARE NASTY. For realz. 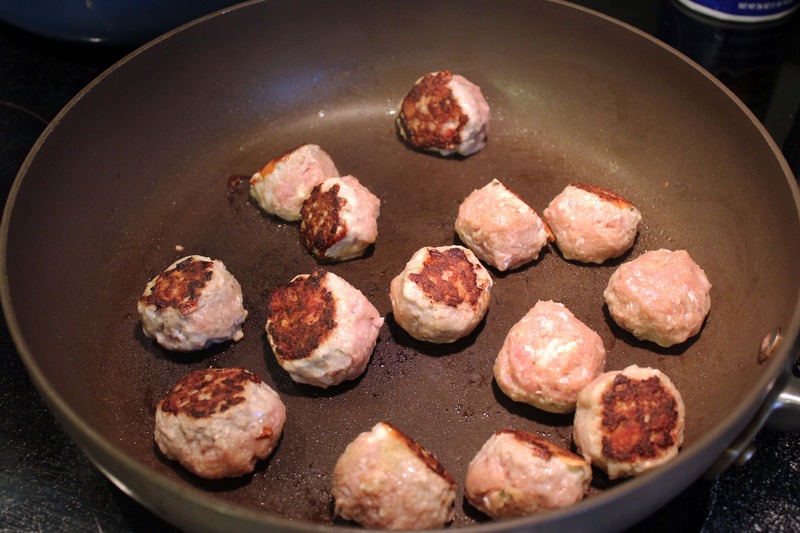 Then add some olive oil to your pan once it’s very hot and fry the meatballs on all sides until they’re brown. 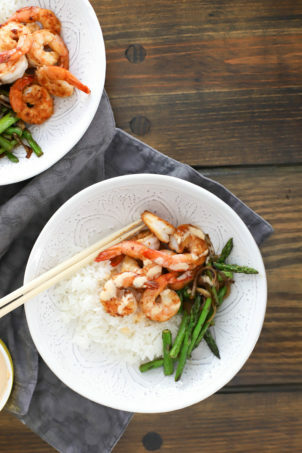 Don’t worry if they don’t cook all the way through, they’ll finish cooking in the sauce! Now, at this point it’s time to make some decisions. 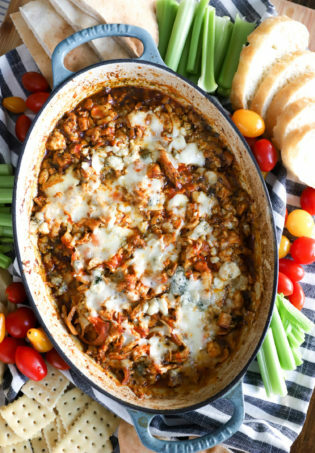 If you’re serving these right away, you can place them in a pot with the marinara sauce and let them simmer for 15-30 more minutes until they’re cooked through, then serve them. 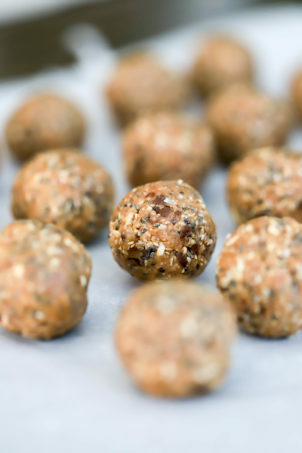 Or, you can freeze them for as long as you can handle the freezer burn and simmer them in sauce whenever you need a fast appetizer! 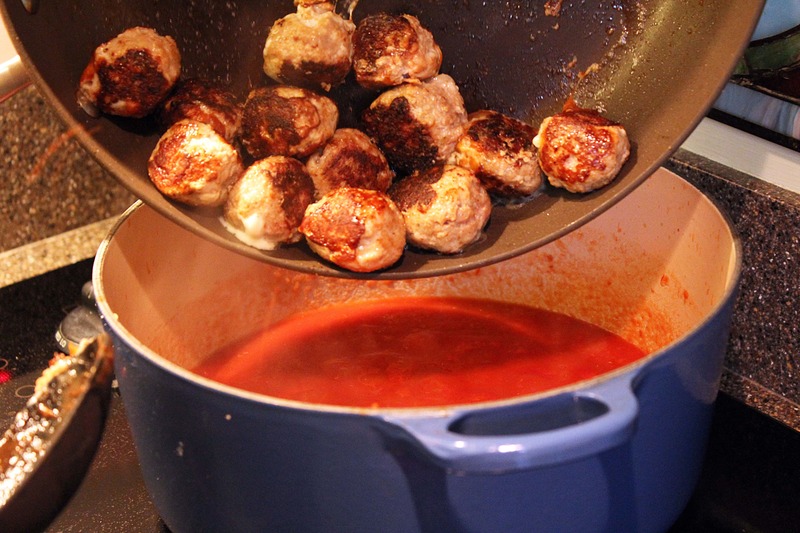 In any event, drop the meatballs in the marinara sauce at least 30 minutes before you’re ready to serve, more if you’re thawing them. 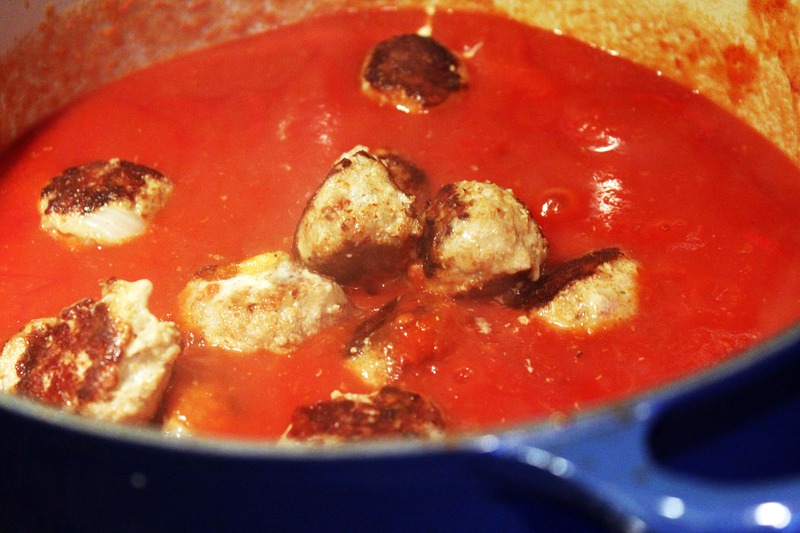 Stir the meatballs gently in the sauce, and let them simmer until you’re ready to serve them. Delicious! Right before you serve, stir in the cream and any fresh herbs you’d like, then serve the meatballs in a pot with toothpicks. Or, serve them over pasta. Or, serve them in a bowl with bread for dunking. Made them last night and I think I may have to put bacon in all of my meatballs. 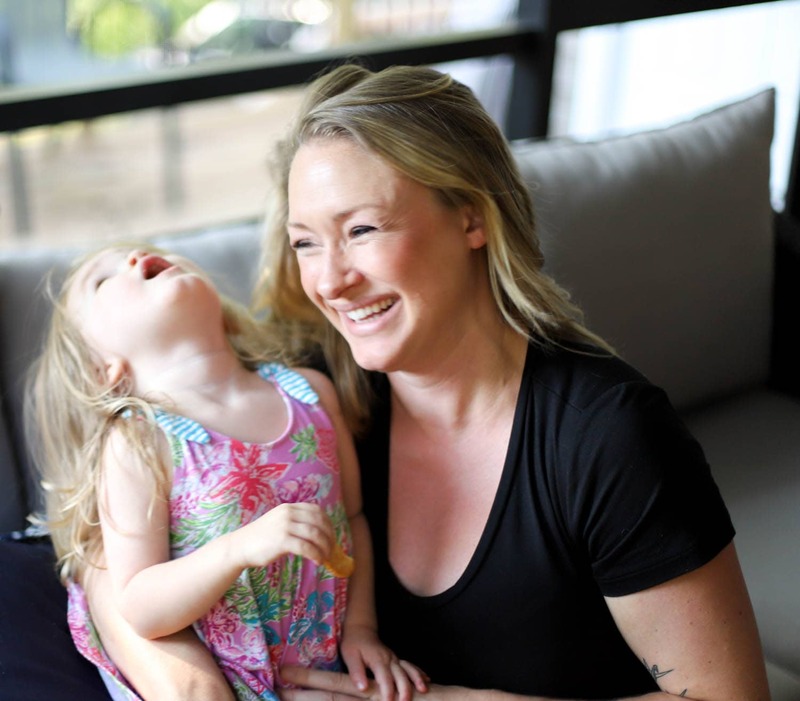 Thanks, they were a hit! I’m so glad! 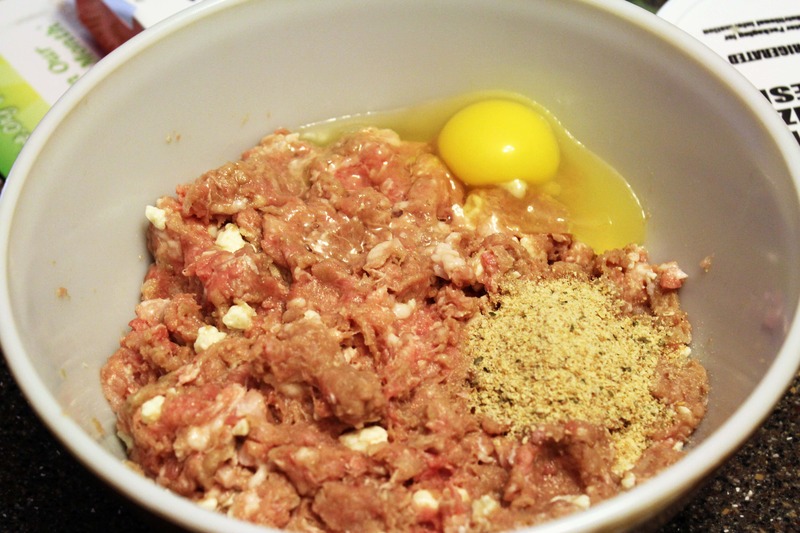 Adding random meats to meatloaf, meatballs, etc is super fun. 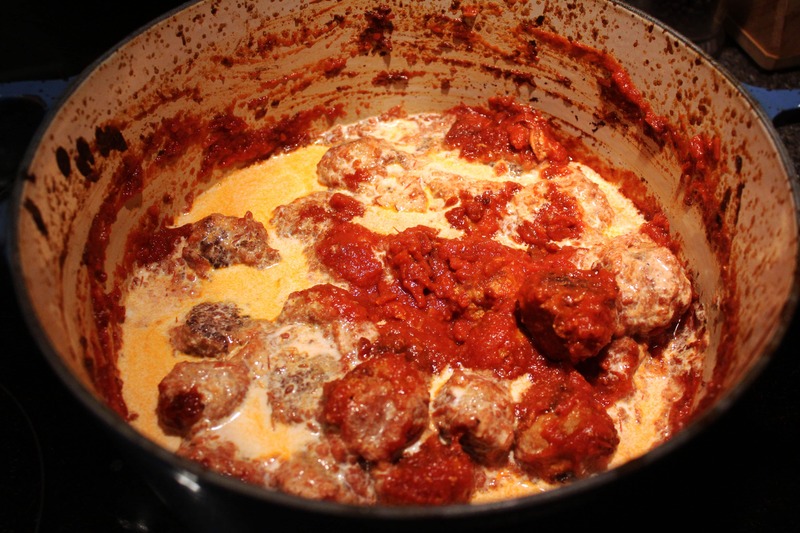 I’m craving these meatballs again today, I have to make them to satisfy my craving. They are so good!